Car sales in Germany contracted 4.2% in 2013 to fewer than three million vehicles. Volkswagen was the leading car brand followed by Mercedes, Audi and BMW. 2013 saw new passenger vehicle registrations in Germany, Europe’s largest car market, down to 2,952,431 (-4.2%) cars to its second lowest level in more than two decades. Volkswagen easily maintained its position as the best-selling car marque in Germany followed by the so-called premium or luxury brands Mercedes Benz, Audi, and BMW. Skoda was the favorite foreign car brand in Germany in 2013. According to new vehicle registration statistics released by the KBA the German passenger vehicle (PKW) market contracted to 2,952,431 (-4.2%) during the full twelve months of 2013. The total German vehicle market (Kraftfahrzeuge) was 3,443,921 (-3.8%) vehicles in 2013. Buses (5,824 / +13.3) did particularly well as the German long-distance bus market was opened to competitors of German Railways for the first time in 2013. Sales of electric vehicles in Germany doubled in 2013 to a still embarrassingly low 6,051 cars. 2013 was the second worst year for the German car market since the current statistics series started in 1990 after the reunification of the country. However, it is not all gloom and doom. Car sales in Germany during the second half of 2013 were narrowly positive (by around 2,000 cars) and the outlook for 2014 is moderately positive. German car manufacturers also enjoyed a record year in worldwide sales in 2013. According to the VDA, car production in Germany in 2013 increased to 5,446,600 (+1%) cars and exports to 4,200,300 (+2%) cars. Volkswagen easily maintained its position as Germany’s favorite car manufacturer. 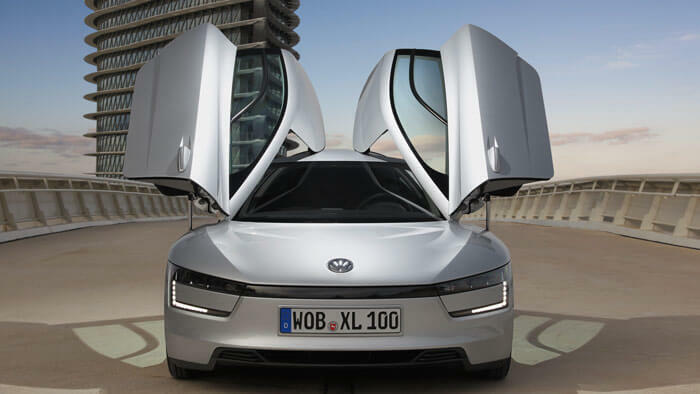 However, VW narrowly underperformed the broader market but still maintained a market share of almost 22%. Mercedes Benz was the second most popular car brand in Germany in 2013 with sales slightly weaker but still easily outperforming the general market – of the German carmakers only Porsche (+1.4%) performed better. Mercedes Benz gained second place from BMW, which in 2012 still included Mini-branded cars in sales statistics. Audi similarly gained a position over BMW. Both Bavarian car marques lost market share in Germany in 2013. Opel and Ford maintained their relative positions from last year. Although sales continue to decline, both marques in a change of recent form outperformed the general market and stole a little market share from VW. VW-owned Skoda overtook Renault as Germany’s favorite imported car brand. Renault slipped even behind Hyundai in 2013, in part due to Renault and Dacia sales figures being separated from 2013 onwards. Skoda sales improved near 9% – Skoda thus outsold Renault and Dacia combined. VW-owned Seat was the best performer of the larger brands. Sales increased by 22% allowing Seat to move up from 13th place in 2012 to push Toyota out of the top-ten list in Germany in 2013. Sales of the French duo Peugeot and Citroen continue to decline with each marque down by more than a fifth. Sales of Alfa Romeo and Lancia are in terminal decline while Fiat also underperformed the market. Similarly, Lexus sales were very weak with Toyota also selling much weaker and dropping out of the top-ten list. With the exception of Toyota and Mazda (+10%), all Japanese car brands had double-digit contractions in sales in Germany in 2013. South-Korean brands Kia and Hyundai had positive sales but none of the groundbreaking figures of recent years. Jaguar saw the strongest growth – almost up by a third – while Land Rover continue to perform very well in Germany. The Volkswagen Golf remained Germany’s favorite car by far in 2013.